This is my project high power amplifier circuit using MOSFET transistor as main amplifier, but this circuit is still a prototype which later I will make it into a circuit of power amplifiers that are ready to be tested. 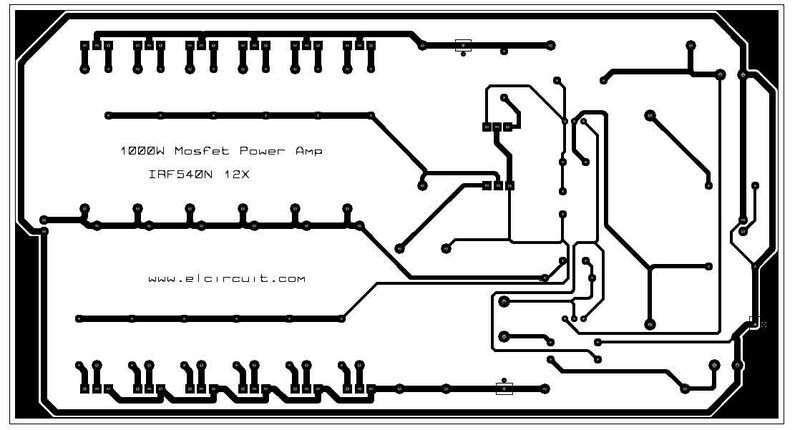 Previously visit also power amplifier circuit using mosfet listed below. If you see a list of power amplifiers above, this amplifier is the same system. Unlike the Mosfet amplifier using a D-class amplifier system. 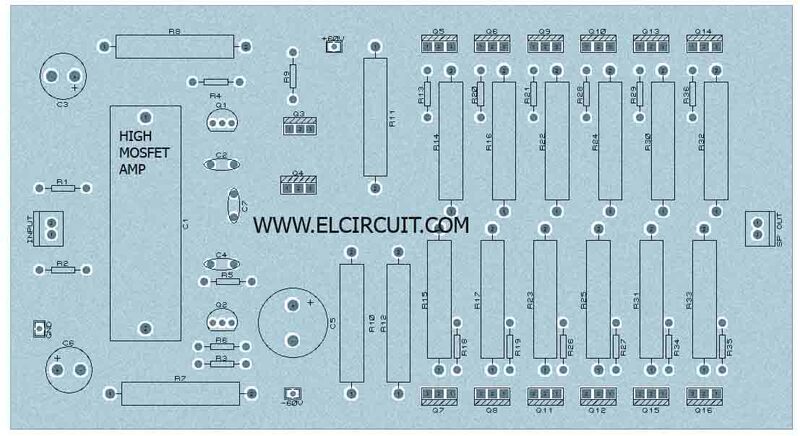 In this project, I use the IRF540N transistor for its final amplifier, where this transistor can be voltage current flowing up to 33A and can power up to 130W each transistor. In this amplifier can use as much as 12x MOSFET transistor can be applied up to 1560W maximum. However, by using power supply voltages are qualified. In this power amplifier, I will supply with a voltage of 60V DC with a current rating of 20Ampere, making it possible to spend up to 1000Watt. Large enough if the output power up to 1000 Watt that can drive 15Inch woofer speakers as much as 2 pieces, but must still see the power speakers are used. Which speaker impedance must be to get 1000W? Apakah skema amplifier diatas sudah pernah anda rakit dan berhasil? Apakah skema amplifier di atas bisa "work"? How can i get 60V Source?